And just to throw another collecting wrinkle into the mix, three (one each) will only be available at Target, Kroeger, and Albertson’s stores and two only at licensed stores. 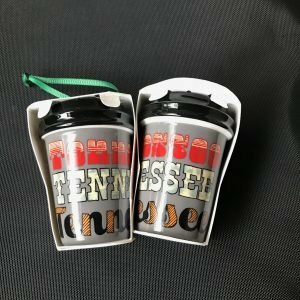 Likely there will also be a unique red cup released in Europe, if not other styles. Europe tends to get less product. Where the list can really swell will be if more YAH are released. And there is a rumor there may be Holiday Gold YAH as well. We have confirmed full-sized Gold YAH mugs, so it is not unreasonable to have the miniatures released as well. While that would add to the large number of ornaments released this year, they are an especially beautiful design and I would welcome them. I of course do not have any sense of entitlement, but if you feel it in your heart to send me your state or non-USA ornaments as a gift to keep this site current and maintained, that would be most welcome! You can contact me for my mailing address.